I’m currently experiencing a hair-life crisis. Unsure of whether or not to go for the chop, let it grow or do something in between (when you’ve got a wedding happening in six months time your hair decisions hold even more weight!) I’m increasingly turning to a portfolio of styling products to tide me over and keep my rather dry and dull locks in check. The thought of washing, drying and styling my hair has never been appealing, but now I’m spending more of my days in the gym it seems pointless to keep preening when I know I’m going to get all sweaty in a matter of hours anyway. 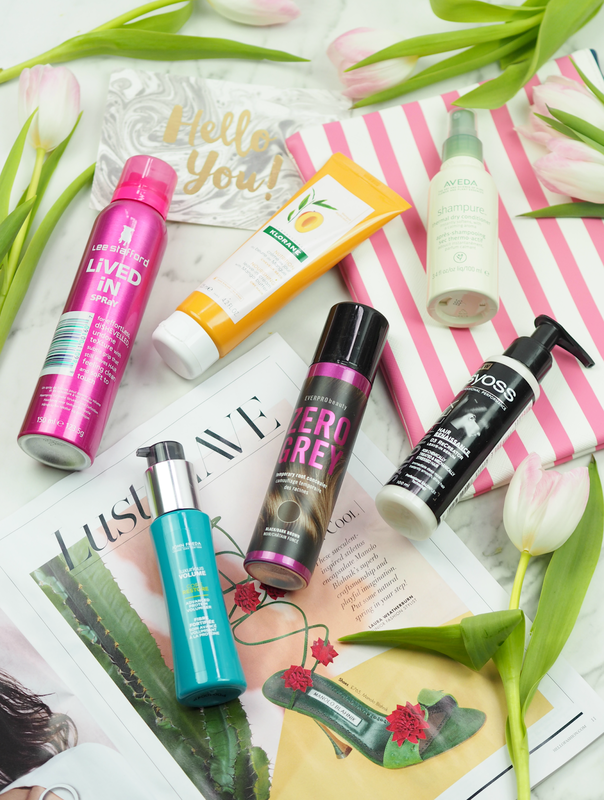 I’ve been increasingly turning to a portfolio of styling products to help add texture, volume, shine and control to my ‘do so I don’t have to bother with heat styling or washing it daily – and these are the six that have continually made the cut. 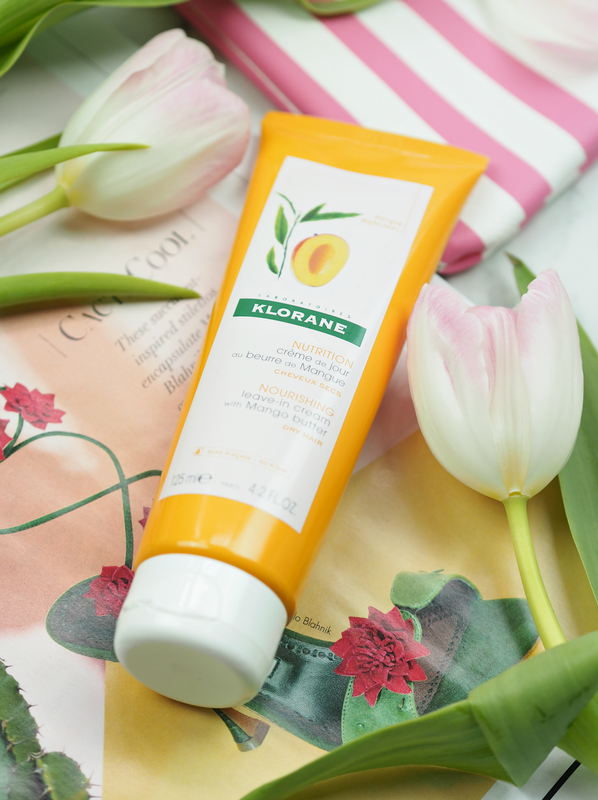 This little tube of wonder has been giving me pure joy for the best part of a year; not only does it smell amazing thanks to the inclusion of mango butter, but it helps to completely transform even the driest of hair instantaneously. When a small amount is applied to second-day hair it will fortify dull strands that are lacking in strength, helping to support it with essential fatty acids; nourishing and hydrating, it immediately makes hair feel softer, more manageable and bouncy. Over time split ends are also repaired and hair is protected against further splitting, making this a product that delivers both in the short and long term.I’ve even used this on hair extensions and it works a treat; a small tube that packs a punch. Fortified with certified organic Jojoba and Sunflower Oils, this 97% naturally derived formula delivers moisture and hydration whilst imparting a calming aroma (that contains over twenty pure flower and plant essences.) I love to spritz this over my mids and ends on day two or day three hair to soften the surface and restore its vitality, but it’s just as good on freshly washed hair that feels a bit parched. True to Aveda’s brand ethos, this is much more than a hair styling product as the fragrance instantly uplifts and soothes the senses. An expensive one, but I do like it a lot. Not a styling product as such, but one I’ve been turning to on those days when my greys are more visible than usual. Temporary root concealers are nothing new, but EverPro have launched a slightly more exciting range that includes a spray and solid powder to cover up unsightly grey roots when you’ve not had time to dye them. Unlike many others I’ve tried, which tend to be chalky and hard to work with, this is super easy and super effective; the pigment is great, it doesn’t weigh down hair and the colour result lasts all day without transferring. Especially developed for coloured and heavily heat-styled hair, the new Syoss range claims to instantly restore ‘millions of broken hair bonds with every use.’ I’ve been using the shampoo and conditioner for a few weeks (which is good but nothing special,) but this additional leave-in serum is definitely the highlight for me. The super lightweight cream helps to calm frizz and generally smooth the surface of hair, without adding the weight of an oil or a traditional serum. Although I’m incredibly dubious about their claims and have found no scientific evidence to justify them, this is a great all-rounder for those of us with thin hair that just want to add a touch of something in the morning. While at Uni, John Frieda seemed like the height of luxury hair care to me; since then I have tended to turn up my nose a little in favour of something a little more sleek and professional, but it’s worth noting that they actually have some pretty amazing styling products within their range. This heat-activated volumiser, with Protein-Strength Complex, progressively strengthens hair for long-lasting volume and a natural-feeling style; there’s no crispiness or heaviness, only lots of natural volume and texture that lasts all day long. You need just a few pumps applied to wet hair, before drying and styling as normal – the result is hair that’s lifted and full of volume, without feeling coarse or lacking control. I’m all about the slightly disheveled and undone look at the moment, and this is a perfect accompaniment for creating it. When I’ve curled my hair on day one, this is great for adding texture and movement while keeping it fresh; it’s not crispy or chalky, but just adds almost a salt-spray effect to the surface of hair. I spritz it over the mids and ends, ruffle it about a bit and add a touch to the roots for a bit of volume – the result is like that of a dry shampoo, but without the annoying white marks and dirty feeling you get every time you touch your hair. A worthy purchase if you’re down with the ‘can’t be arsed’ look right now. 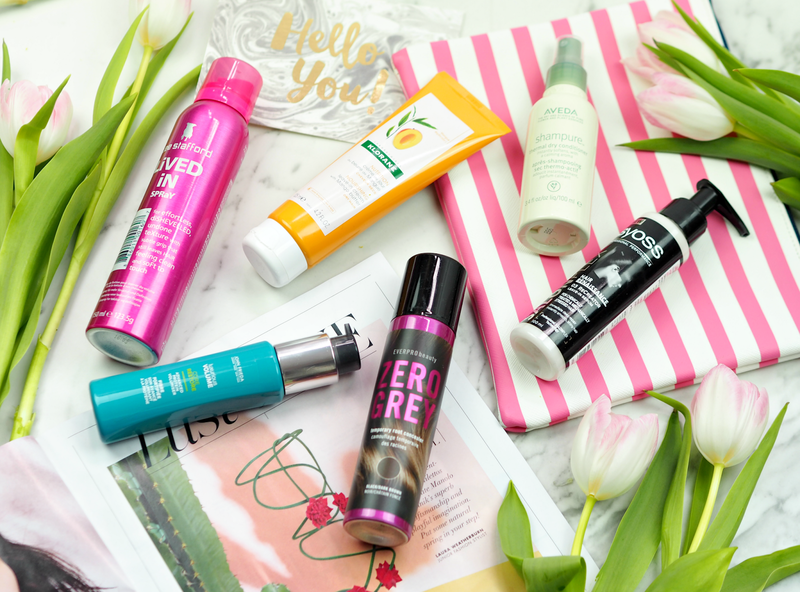 Do you have any other current fave hair styling products you think I’ll love? I have to dye mine as they're so bad – but this is great for little touch ups or when you spot a patch that needs dying! You don't need to spend a fortune on hair stuff! It's the one area where often budget is just fine.